Happy holidays, indeed! 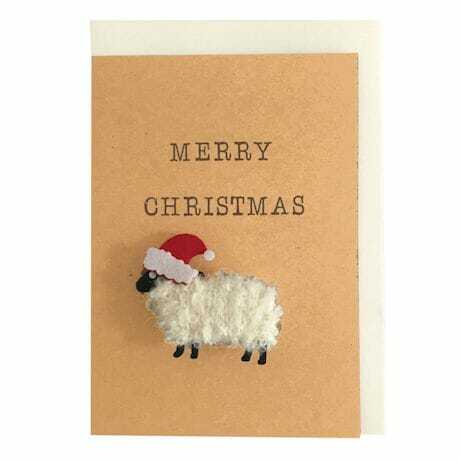 This adorably punny card doubles as a clever little gift, as the cute woolly ewe—wearing a Santa hat!—is actually a keepsake magnet that the recipient can detach and use. 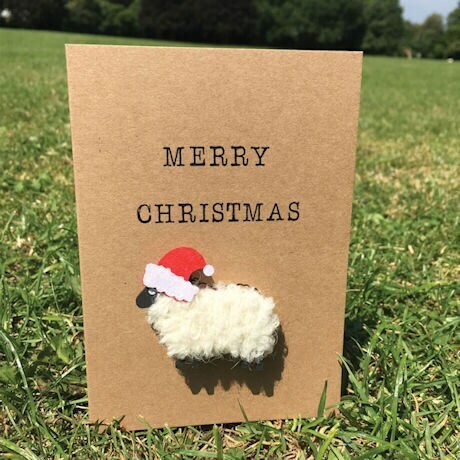 Handmade in Scotland of real wool and recycled paper, our Merry Christmas, Ewe Card offers a uniquely charming way to share glad tidings for the season. The 4"x5¾" card comes individually wrapped, with cream envelope. Stock up for special Christmas greetings and last-minute gifts—ewe will always be prepared!